Every year, the Africa Centre organizes a study tour to an African country, intended for African Studies students, and staff members from the inter-disciplinary program. The tour offers students of African Studies the unique opportunity to learn first-hand about the continent, and for many, it is the first time they visit Africa. This year the study tour will take the students and staff to South Africa. More details are announced during the current semester. During the summer break at the end of the 2015-2016 academic year, 50 students and staff members traveled to Rwanda as part of this years’ study tour. The tour taught participants about the Rwandan genocide and its aftermath through on-site experience. By visiting relevant sites and meeting key actors in Rwanda, participants learnt about the genocide as well as Rwanda’s approaches to post-genocide justice and reconciliation. The Study Trip was directed by Dr. Sigall Horovitz, who worked at the International Criminal Tribunal for Rwanda between 2005-2008 and has since been teaching and conducting research about justice and reconciliation in post-genocide Rwanda. Click here for more pictures from the tour. During the summer break of the 2014-2015 academic year, the Africa Centre organized a study tour to Ethiopia. 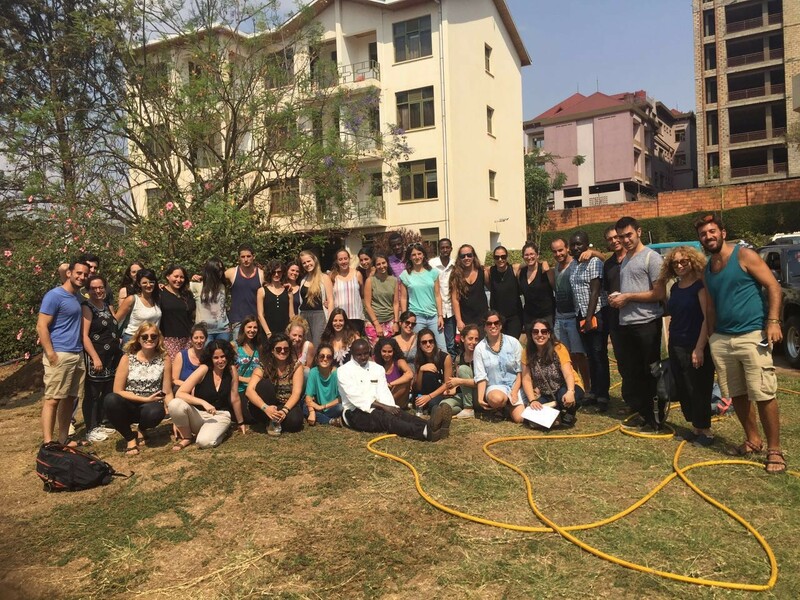 This study tour was led by Dr. Leonardo Cohen, and 50 students and staff members took part. The tour included visits to archaeological, historical and religious sites in Ethiopia. While the focus was on the history of Christianity and Islam, we also met with representatives of the Jewish community in Gondar. The tour included daily lectures by Dr. Cohen, as well as lectures and meeting with local scholars, community leaders and activists. Click here to see pictures from the tour.